The Partagas 8-9-8 is a strong and delicate medium-full Lonsdale, 6.7” (170mm) long, of 43 ring gauge, and comes in a varnished cabinet of 25 cigars. This Partagas is named after the number of Habanos placed on each layer of the cabinet, there are 8 cigars on the top and bottom row and 9 in the middle one. This is a great cigar that is medium-to-full body, which will better suit a Cuban cigar aficionado rather than a newcomer to Habanos. Thanks to its almost perfect construction, it offers an amazing draw, and burns beautifully throughout the entire cigar, while a luxurious ash builds up at the foot. The 8-9-8 provides typical Partagas flavors, lots of charred aromas, musty earth, wood, cocoa, leather. These are strong flavors, as expected, mixed with some fruity notes, some nuts, some pepper, and some Asian spice. This is definitely not an everyday smoke, but a very tasty and complex cigar that worth keeping in the humidor. It also has a great potential for ageing. The Partagas 8-9-8 is a great option for a rather strong cigar and when the time is not an issue. Goes perfectly along with liquor or after a good meal. • Complex cigar, with lots of creamy flavors, dominated by wood, earth, leather and cocoa. • A great cigar for an experienced smoker or aficionados of small ring gauge cigars. 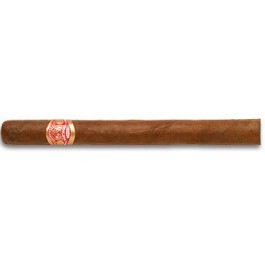 This is a classic Partagas, which delivers that typical Partagas punch. The cigar is looking amazing; it is very long and feels great in hand. The cigar is smooth to the touch and tightly packed all the way. It has a nice dark chocolate color; the wrapper is pretty shiny due to the sheer layer of oil on its surface. There are almost no veins and no bumps. The wrapper smells of barnyard and leather. There are also notes of cedar, spices, coffee, earth and cacao. Once cut, the cold draw is great, just tight enough. The first puffs reveal rather strong musty flavors, earth, and leather, all very thick and syrupy. The finish is long and on the same notes. The burn line is great right from the start. The first third of the cigar is full of those musky flavors, lots of wood, earth, fungus, leather and charcoal. There is also a good amount of spices, Asian spices, some soft pepper and cinnamon, also some very subtle touches of stone fruit. The cigar is very creamy, very smooth, but the body is definitely strong, sitting as medium-to-full body. On the finish, some cocoa, coffee and charcoal. Overall the cigar smokes beautifully, generates a generous amount of smoke and the draw opened up just a bit. The ashes are holding on beautifully and there is a beautiful charcoal at the foot of the cigar. In the middle third, the flavors are subtly evolving rather than changing completely. The musty earth is moving a bit towards the background, leaving more space to a creamy wood note. There are also plenty of cocoa, tobacco and dark coffee. The finish is still long and full with a spicy zing. This third of the cigar is not as strong as the first third, between a medium to medium-to-full body cigar. All the aromas and flavors work perfectly together, and the draw is very cool. The smoke is still perfect, the burn line is sharp and the ash is holding on firmly. In the final third, the dominant flavors are similar to those in the previous third, still lots of earth, wood, cocoa, tobacco. There are still some notes of stone fruit, and a good amount of Asian spices on the finish. Overall it is still a very creamy smoke, very enjoyable, very complex. The strength level hasn’t evolved much, maybe tapered down a bit towards the end. It is still generating a generous amount of smoke, the burn did not need any touchup after the first third, and the ashes hold on beautifully. In summary, the Partagas 8-9-8 is a great go-to cigar for an experienced smoker; it delivers great Partagas flavors with a near perfect construction.